Falls Creek Summer Camp exists to connect students to Jesus Christ and each other. 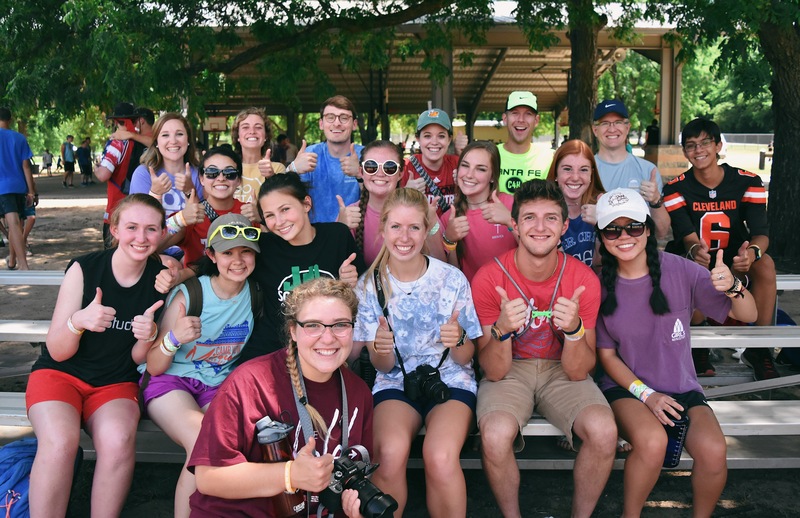 A week-long camp experience for students that is full of Jesus-honoring worship, Gospel-centered teaching, recreational activity, amazing late night activities and some incredible food. This is an incredible opportunity to invite friends and get connected with the student ministry at Quail. Cost: $175 per student 4/8/2019 - 5/15/2019: $200 per student 5/16/2019 to 6/13/2019. Recreational Clothes for 4 days…keep in mind you might get a little messy or sweaty. Clothes for Falls Creek Evening Service… dress as nice as you can. Shorts are allowed. Swim Suit…(two pieces are allowed, but a dark t-shirt must be worn over them). NOTE: WE REQUEST YOU ONLY BRING ONE SUITCASE AND ONE SMALL BAG. THIS INSURES WE HAVE ENOUGH LUGGAGE SPACE ON THE CHARTER BUSES. All apparel judgements will be left to the discretion of the Falls Creek Staff (FCS). If FCS determines a camper or campers should change their clothing to fall in line with camp requirements, then said camper or campers are required to do so. Modesty is very important and required. Shoes must be worn at all times outside of your cabin. Apparel may not display or promote tobacco, alcohol, controlled substances, or inappropriate language or pictures. Under garments must always be covered by outer garments (i.e. No boxer shorts hanging out or bra straps showing). Midriffs should always be covered. No spaghetti strap shirts or dresses. No tank tops. All apparel must cover the shoulder. Sleeveless shirts are acceptable, but must go from the neck to the shoulder seam and not be split down the side. No short shorts. At a minimum, shorts must extend to, or just beyond, the campers’ finger tips. No tight fitting and revealing clothing. This includes leggings, jeggings, spanx, compression shorts, yoga pants or similar attire, which cannot be worn as pants. Girls may wear dresses/skirts, but they must reach the top of the knee. Dresses must have an accessory to wear under or over any straps that do not cover the complete shoulder. Girls should wear modest one-piece swim suits. Males should not wear tight fitting swimming suits. While going to and from the swimming areas, all campers must wear shoes; males must wear a t-shirt and females must wear a long covering over their swimming suits. Shoes, T-shirt or long covering must be worn when going to and from swimming. Bring clothes or things that relate to these themes, but you still have to abide by the dress code. All week long there will be a competition amongst the classes. The more of your class that participates and dresses up, then the more points you get! STUDENTS WILL BE ENCOURAGED TO DRESS UP ACCORDING TO THEME THROUGHOUT THE DAY. ESPECIALLY DURING THE MORNING IN CABIN TIME.